For Pricing information, click HERE. | For advice on What to Wear, click HERE. A: Most family sessions last approximately 1 hour, although it varies from one client to the next. 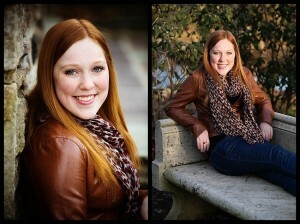 Senior portraits can take 2 to 5 hours, depending on the number of locations and clothing changes. A: We’ll reschedule. I’m flexible. So far the weather gods have been very kind to me and I’ve only had to reschedule a few shoots due to bad weather. In case of bad weather or any unforseen circumstance, you’ll have my cell phone number and we’ll be in touch. Q: How long will it take until I can view my pictures? A: I promise to have some sneak peeks up on my blog here and on Facebook within a few days of your shoot. Your full session will be available approximately fifteen business days after the session in an online private gallery. You can order prints directly from that online gallery and they will be delivered to your home. If you want your gallery password protected, just ask, it’s no problem. Q: Can family and friends purchase pictures as well? A: Sure! Forward the gallery access information to all your friends and family. Once they have access to the gallery, they will be able to choose their own favorite pictures and place their own orders. Q: Is it possible to see all pictures taken at the session? A: Oh gosh no. I wish I was that good, but we all have duds in the session (closed eyes, bad exposure, odd angles, test shots, etc.). After I upload my photos to my computer, I make a few passes and eliminate all the photos that aren’t flattering or don’t meet my technical standards. After that, I go back through the shots again and eliminate shots that are very similar to others. I want to give you all a lot of choices, but not so many that it’s overwhelming. Q: Will you travel out of town? A: Of course! Contact me directly for more information. Q: I am interested in purchasing Photobook, what do I do next? A: Please send me an email and we can discuss what kind of photobook you are interested in, and what pictures, text, and colors you would like. A sample will then be prepared for you and posted to your gallery. If you are not sure of exactly what you want, let me know what style and pictures you are thinking of and we will come up with some ideas together. I also have samples available for you to see if you’d like. Photobooks take approximately a month to design and deliver. Q: I am interested in purchasing custom announcements or holiday cards, what do I do next? A: I design all holiday cards or announcements from scratch, personally for you and your style. Contact me directly and we’ll create your design especially for you. They will then be uploaded to your personal gallery and you can order directly from the site and have them shipped to your home.